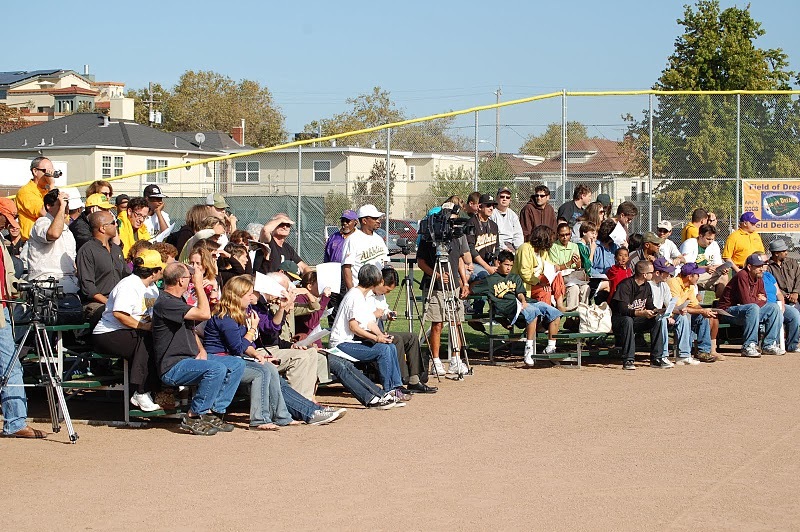 Oakland Tech, Oakland High and Fremont High are scheduled for Demolition and Replacement. New school bond, Measure A, proposed for 31 school sites to pay for seismic upgrades. This article appeared in “The Knave” section of the Oakland Tribune on April 2, 1972, on the 75th anniversary for Oakland Technical and its predecessor, the old Oakland Central High School that stood at 12th and Market Street. School Site Committee decides to Renovate Oakland Tech using the architectural firm Van Bourg & Nakamura at estimated cost of $4.7 million. 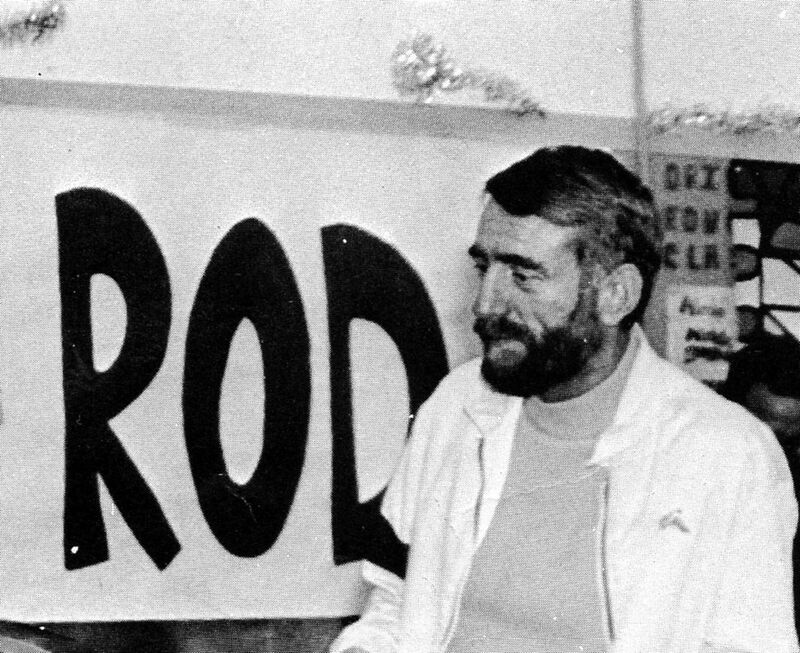 Rod McKuen, who had dropped out of Tech before graduating in 1951, returned to Tech to speak to students and was given a high school diploma and a copy of the 1974 Talisman by Principal Miller. Tech’s gospel choir gave a concert tribute to Dr. Marcus Foster, the Oakland Superintendent of Schools who was assassinated by the SLA in Nov., 1973. His wife and daughter were guests at the concert. Plans are made in March for a $9.5 million Interior Renovation with construction to commence in 1975. Girls and boys started to take PE Class together. The OSA endorses the Renovation of Oakland Tech at a cost of $10.5 million. Famed author, Earnest Gaines, who penned numerous classics including The Autobiography of Miss Jane Pittman, spoke at Tech. Industrial Arts Classes (drafting, wood working, auto shop and body and fender shop) were moved back to the Broadway campus. I am currently looking at the time as it is being told by the clock that was in my classroom (204) at Tech. I love my memories of the teachers taking (not with authority) the clocks from their rooms when the building was being remodeled and they were getting rid of all the “old.” Not sure of the date. We did the clock exit, covering them up. Sue Babb and I were aided in carrying them out by a custodian, who would not have approved, but just thought we were taking away our teaching materials. At least that’s how I remember it. 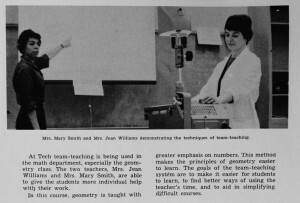 I loved Tech because I loved the students and the other teachers. 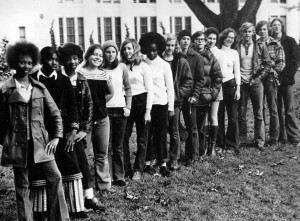 I loved the rallies on the steps at lunch and the days when there really was “student power.” It is incredible to think how students then chose their own classes and teachers by running to sign up with the teachers in the gym. I would love to open the door to the teachers’ cafeteria and have lunch with Sue Babb, Jim LeyCuyer, and Ron Valentine, just one more time. I think the faculty was stellar; we cared about the kids. We did not have to endure standardized tests to prove our excellence. We barely had a curriculum, but I think we taught from the heart. It was a period in which many of the teachers and the students were very united. I was trying to make the classics seem very cool, but taught them alongside books like Native Son. My favorite thing, though, was that the previous five years I had taught at Claremont Jr High. I would move up to teach the next grade every year, so some of the kids I had for all of their English classes in both junior and senior high school. In the turbulence of that period, I was kind of a constant and got to know them very, very well. 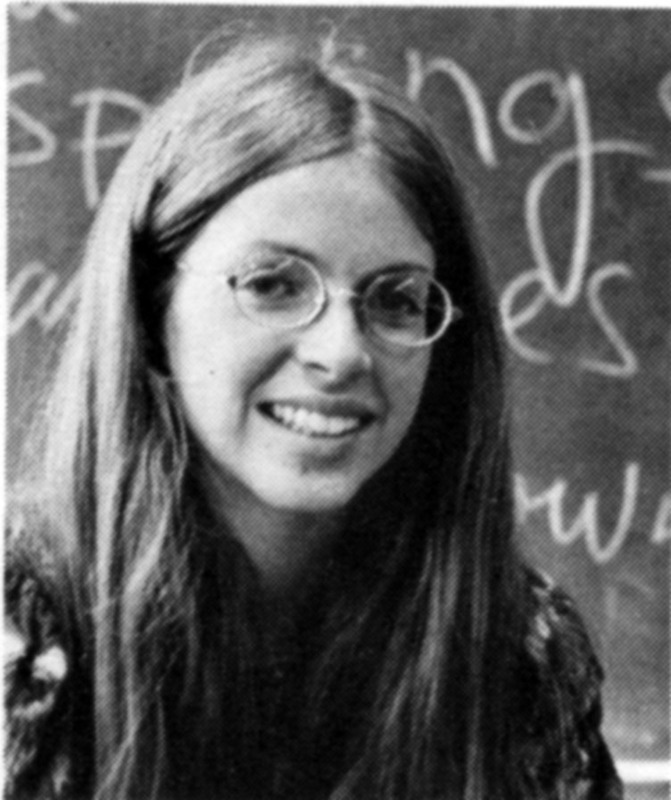 I was active in the anti-war protests in Berkeley at the time, but the war was not as big (in my memory) a deal at Tech as social issues were. I don’t remember the draft as something the kids worried about, but I could have been concerned about other things. I mostly worried about their futures vis-à-vis education. My only contact with a student who served in Vietnam was one who wrote me years later to say that he spent his military service on a destroyer. He really wanted me to know how much he appreciated what I taught him. It was thrilling to hear this since teachers don’t often get feedback years later, but then he said: “You talked so fast that I was able to understand my sergeant who talked fast, too.” This wasn’t the compliment I had hoped for. 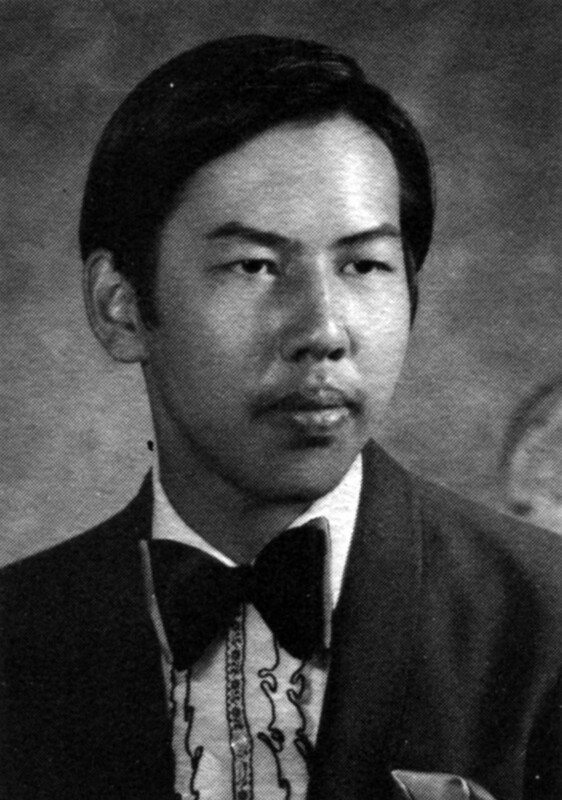 The school felt alive and energetic, and I felt fortunate to join the faculty for almost 13 years, from 1971 to 1983. I ran art classes for all grades: Ceramic Sculpture and Drawing/Painting, some with as many as 45 students. Group creativity– when individuals find the flow of quiet excitement and focus that comes with working on an art project surrounded by other like-minded artists– can be blissful. The art studio became a lunchtime and after-school destination for many students, because for an artist a 40- minute increment to work on a piece, with a forced stop, is frustrating. Working along side of my students, with everyone quietly focused on his or her individual work, and hearing expressions of mutual admiration and encouragement remain among the most joyous moments of my life. The Vietnam War was ending in the late 70s, and refugees from Vietnam, Laos, and Cambodia were relocated in Oakland. Tech had workshops for the teachers and assemblies for the students to explain the cultural milieu of these new students. 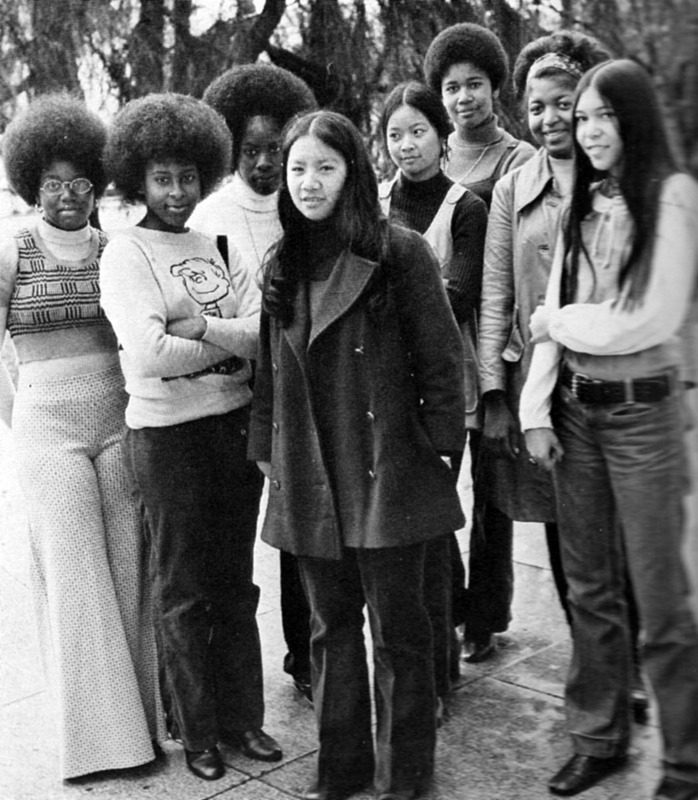 Many of the students assumed that these new classmates were similar to the California Asian population and expected stereotypical passivity. The Californians were informed that many of the new Asians had come from an environment of brutality and warfare and were not passive when challenged. Some of the Hmong boys had been soldiers and understood how to fight. My Tech memories are from the year 1968 and 1969. All the girls and the boys set a precedent for girls being allowed to wear pants to school. We all marched to the Board of Education on 2nd Avenue, the girls dressed in pants, the boys dressed in skirts and dresses, to protest about girls not being able to wear pants to school in cold classes and weather. They finally agreed and we were allowed to wear pants to school! 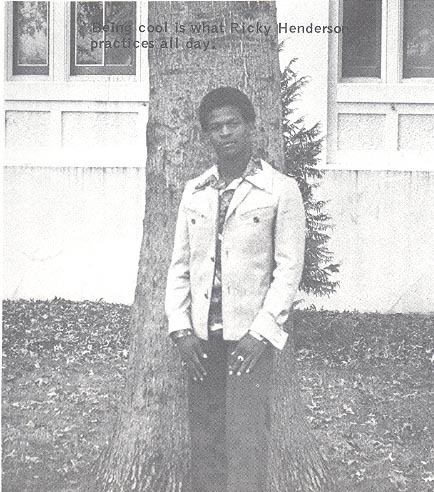 Another little tidbit: the front of the yearbook of 1969 and 1970 is a picture of my future husband, Earl Rhodes. 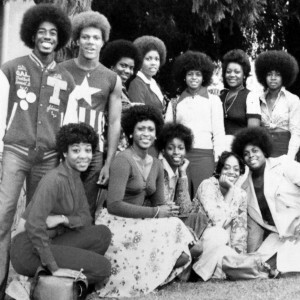 He wore a big Afro and liked to be caught on any camera shot. 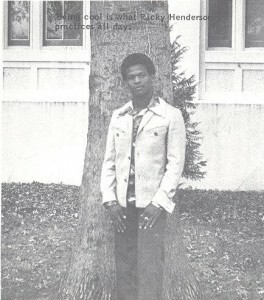 When I was 3 years old and our family moved from Richmond to Oakland, we lived with Huey Newton’s family. He was a weird kid then. He shaved his hair off when he was in junior high school because he wanted to be different. 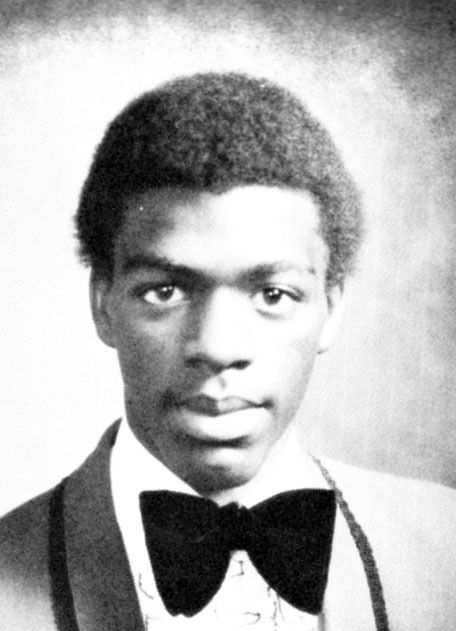 His father was a preacher and one of the brothers is the Dean at Merritt College. When Huey came to Tech in 1969 to speak, it started a riot! White kids got beaten up and a couple of teachers too. The office where the cashier was located was broken into and the school was trashed. The kids left school. 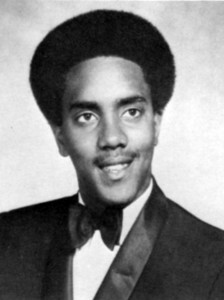 Some picked up their brothers and sisters from the school down the street and followed Huey Newton to Merritt College (on Grove Street at the time) and along the way, kids trashed stores like Vern which is no longer there. We all rallied at Merritt to hear more of Huey and the Black Panthers’ speeches. 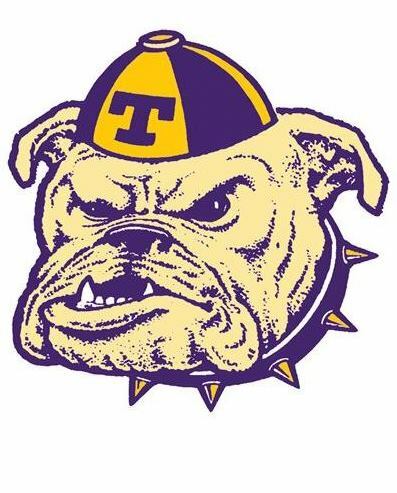 Purple and yellow– Bulldog forever! 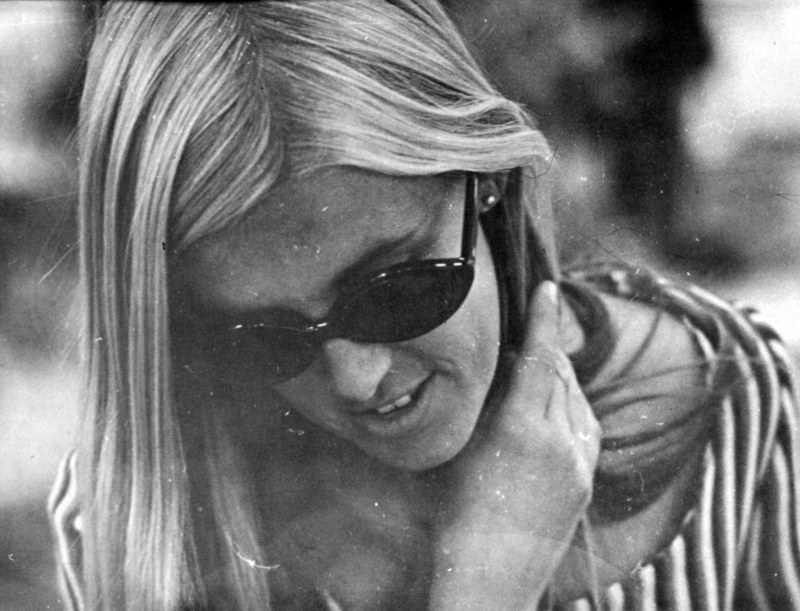 “One of the most memorable event was Oakland Tech’s first annual International Week in the Spring of 1969, an event bringing together the diverse group of students to learn about each other’s cultures – the music, the food and the attire. Kudos to the Class of 1969 Student Body Council for organizing this event. The other memorable event was when a group of us students attended a football game against Castlemont High on their campus. Even though we lost the game, we did not lose our team spirit. After the game. one of my classmates, Debra Kidd, lead us into a cheer – “that’s okay, that’s all right, come on Bulldogs, fight, fight, fight.” The result of that school spirit landed Tech the Keyes trophy. My father (Louisiana) came to Oakland for shipyard and train jobs. My mother (Texas) came to be with her father in California. I grew up in North Oakland, the Temescal area. 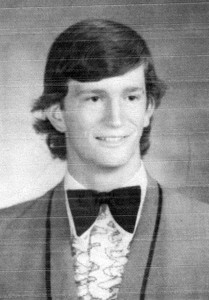 I loved Tech from when I was a Woodrow Wilson Jr. High student. Tech was the “melting pot” of all of the high schools in Oakland. All of the races and exchange students came to Tech. This was the “time of Aquarius.” I loved almost all of my fellow students and call them my friends to this day. The teachers were great too. They were aware of the times (60’s) that we were facing (Black Panthers, civil rights, and community awareness). I only had good times at Tech. I was involved in almost everything (sports, newspaper, drama, music, and clubs). Mr. Echols was my favorite teacher. Mrs. Ida La Blanc, Ms. “e”, and Ms. Evans were great too. At Tech, I learned my early life lessons about love and friendships. After high school and college, I became a professional photographer (I learned photography at Tech) and today I am a Solano County Sheriff. I made a lot of friends at Tech. I had the “high school dream”– my girlfriend was the head cheerleader (Stephanie Lee). My best friends were: Royce Harrison and Pernell Brown. I am in touch with almost all of my friends. I also work on the class reunions and other gatherings. I wish we had a stronger alumni [network] like Mack has. I wish I could be around for the 150th year. Hey, maybe I can !!! My advice to current students is: enjoy your experience, because life is coming at you in full force after you graduate. Work hard and get a good education so life can be easy and with less stress. Long live OTHS! Go Bulldogs¬– forever !!! 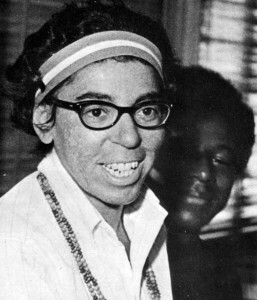 I worked in the Girl’s Principal Office with Dorothy Bergeron, who was the Secretary. I loved Mrs. Bergeron. She was so very nice. She taught me so much about Clerical Office work, and I loved typing!! Over the years, as an adult, I would periodically run into Mrs. Bergeron in nearby Alameda. What a joy that was. I would always give her a hug and let her know how I appreciated her special guidance which paid off for me in the long run. I was Manager in a Word Processing Department 20 years. My favorite teacher was English teacher, Mrs. Galindo. I was very fond of Mrs. Galindo, such a sweet lady. I also loved my biology teacher, Mr. Smith. Wow, he could be mean, but nice at the same time. 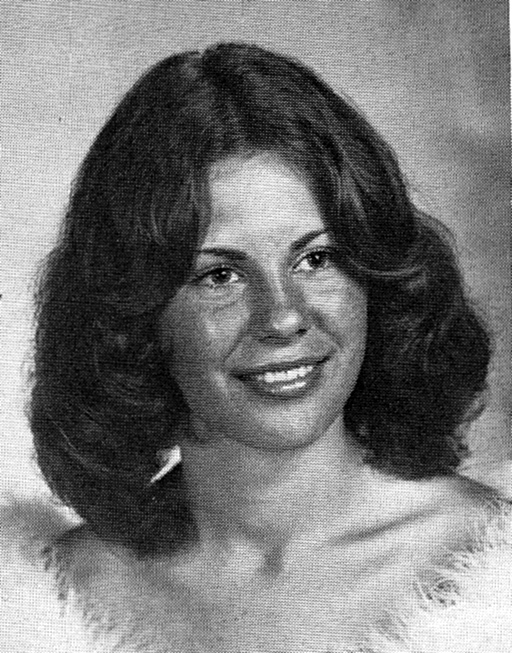 I always stood in the doorway of my biology class talking to my friend Donna Hunter (he also knew Hunter from junior high school). I could never get to my seat before the bell rang, BUT I was right there in the doorway. Well Mr. Smith promised me that he would lower my grade if I wasn’t in my seat when the bell rang. My grade was “A” over . . . . . guess the letter . . . it’s after “E” and before “G.” Ha ha ha ha!!! Yes he did!! 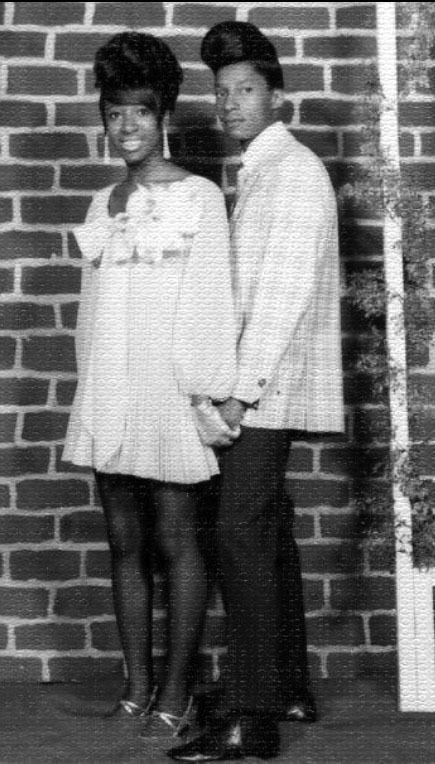 I married my childhood sweetheart Lee Wilks 2 years later (Lee also attended and graduated from Tech). We had a beautiful daughter Ena Marie and she blessed us with 3 beautiful grandchildren; Kevin, Enasha and Little Kyra. Lee passed away in ’85. Since I graduated in ’71, we’ve had roughly 50 people who have died. My 14-year-old granddaughter Enasha is a Sophomore at Tech!!! I love my school. I still live in Oakland and periodically I pass by the beautiful structure. 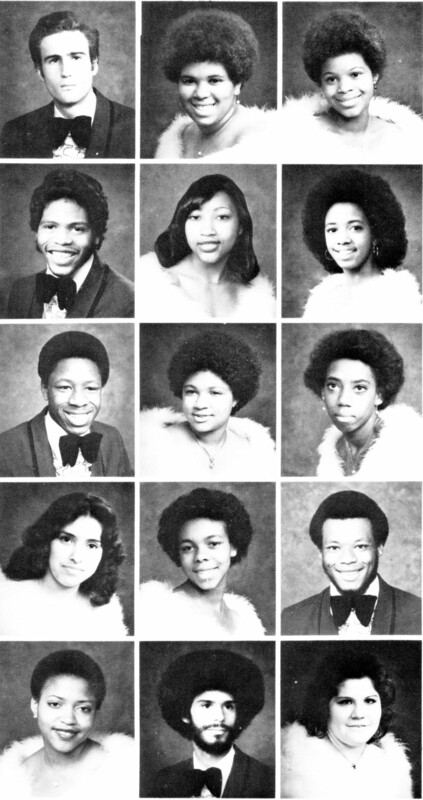 I get emotional thinking of all the wonderful, fun moments I had with all my friends (best friends Phyllis Mobley and Donna Hunter) at Oakland Technical High. It was my senior year at Oakland Tech and it was Homecoming Day. Two or three of my classmates (seniors) and I made a break for it and escaped from the event. We were walking down 45th Street toward Telegraph Avenue. Coming towards us was Mr. (Leroy) Jackson, escorting some students back onto campus. We ignored them and walked right past them. We did not even make eye contact. I was waiting for Mr. Jackson to call out to us or one of the students to say something, but nothing happened. Must have been new students. I do not know who those students were, but I would like to thank them for not ratting us out. This is what can happen if you keep a low profile and do not draw attention to yourselves. I was surprised that Mr. Jackson did not recognize any of us. We acted like we did not belong there or had anything to do with the school. “I know there are some of you who like to walk around here with your seat up here (on their shoulders) and try to be like Jim Echols. Well, you can change ‘eat’ to ‘hit’ and it’s s***”. – Coach Echols. The first time I heard those words was when I entered Oakland Tech in the Fall of 1969. Some of his other words of wisdom were, “Hey. Young man. Let’s go to class now. Get off my bleachers. Don’t be sitting in my bleachers”. If nothing else, you just gotta love the man. I remembered Mrs. Vander Hoogt’s English class. We read a lot of Kurt Vonnegut. Third period PE class in my senior year. There was an ROTC class at the same time. Bret Hughes started chanting, “Out now! Out now!” and I joined in. The cadet officer told his men to go after us. We started laughing. Mr. Eldridge’s fourth period chemistry class. My chemistry class was after lunch. We would gather in the library with the students from the previous classes and asked them what was on the chemistry tests. We were on the stage one time and saw Mr. Eldridge walked in. We started to walk away from each other. It did not occur to him that there was a bunch of students from his first, second, and third period chemistry classes talking to a bunch of students from his fourth period class. We eventually got caught when one of my classmates was writing down the answer to one of the questions on a piece of paper, as the test was being handed out, and the paper was taken away from him. So he had to give us another test. What he did not know was that he had given us the test before as an oral test. His lab assistant wrote all of the questions on the blackboard. Everyone, except one student, got the answer wrong. The lab assistant wrote the question down incorrectly. And. I knew that guy. I went to Lincoln School and Westlake Junior High School with him. PE class. Two guys were tossing a football in front of the boy’s gym. You are working in the shop and, all of a sudden, a football comes flying through one of the top window panes. Made a perfectly round hole in the window. I think the two guys took off running. Didn’t bother to stick around. Veronica Hill’s math class. Some guy jumped out the window. Do not worry. The classroom was on the first floor. Dr. Stern’s German class. It was hard to drop out of the class after the first week without a legitimate reason. I waited until the end of the fall semester to get out and did not re-enroll into the class in the spring. She was not too happy about it. Ausgezeichnet! Faculty Frolics. Teachers putting on a series of skits. 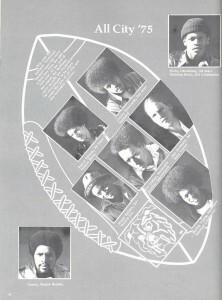 There are pictures of them in the 1972 Talisman. I was in the free lunch program in my senior year. I would go through the chow line last and got some freebies. Sometimes, I would score a dessert or a pastry. They would have tossed them out anyways. One time, I was on my way to class eating a cinnamon roll and another student stopped me in the hallway and tore off a piece for himself. Future I. A class taught by Ron Valentine. There was a boat building contest. The boats were made of paper and paper products and were held together with strings and glue. A lot of the boats fell apart in swimming pool. Another contest was the egg dropping contest. This involved dropping an egg from the roof of the school. 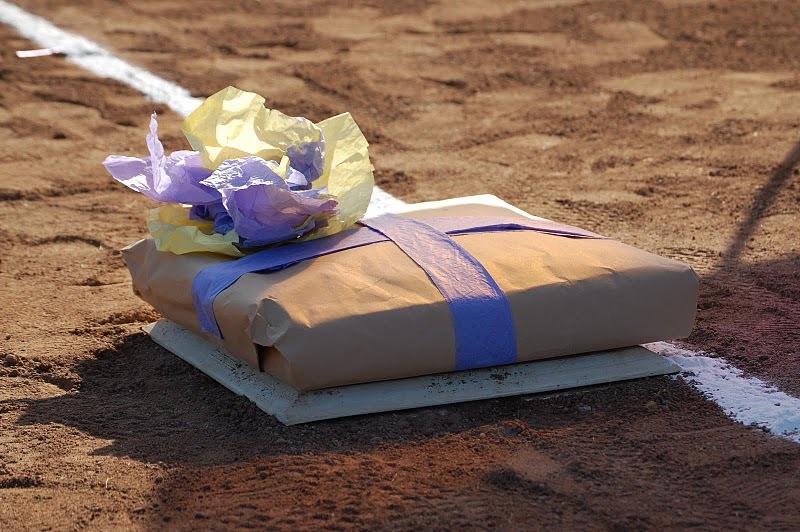 The eggs were wrapped up in any kind of protective materials and tossed from the roof. The objective was to have the eggs land without breaking them. There was a story written about it in The Tribune. It was class enrollment time for the spring semester and we had finished lunch and were waiting at the entrance of the shop building to get back in. 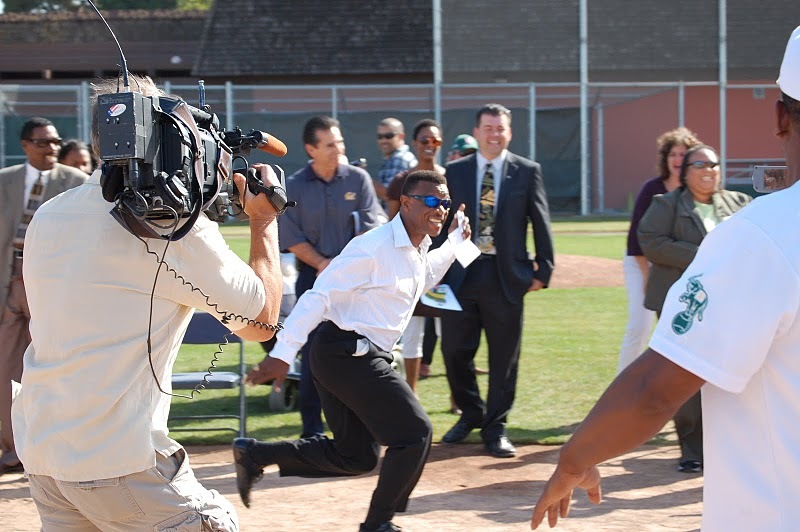 Coach Echols and another teacher were weaving through the crowd toward the entrance. One of the students in the crowd yelled out that Big Jim wanted to get through. All of sudden, the crowd started to separate and opened a path for him to the entrance. 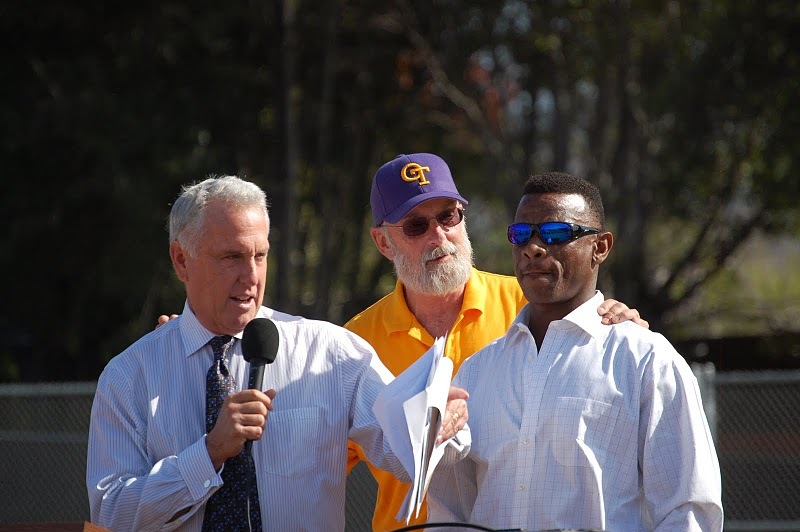 Coach Echols did not say any thing. He just ignored us and just walked through. Even though some one called him “Big Jim”, we still respected the man. Vernon Roberts had on this nice clean sweatshirt and sweatpants on. We were on the football field playing football, and someone tackled him into the mud. The Bulldog made some pretty good sandwiches. The best memory I had of Oakland Tech was GRADUATING. After 42 years, I still remember it. Man. Those were some fun times. I am glad I went there. It has been so long ago for me that I can no longer remember all of the names. I do remember loving my African history class taught by a beautiful sister with a boss Afro, and of course, I have always loved English. My path in life did not lead me to teach English as a profession, but I am still writing and teaching wherever I happen to be. Teachable moments can occur anywhere… especially for the resident “Grammar Goddess”! I often pass by the old campus and think about the times when we had classes on the lawn on hot summer days and it really takes me back. I haven’t been inside the building in ages, but I intend to go in… one of these days. First time in over 40 years. Happy 100th birthday, Oakland Technical High. Go Bulldogs! On June 13th of this year I shall graduate from Oakland Technical High School. I am a white student attending a predominantly black high school. I am writing in the hope that more white students living within the boundaries of racially mixed schools will choose to attend these schools rather than private or otherwise exclusively white schools. Within the past six years racial encounterings [sic] have become less and less problem oriented and more and more possibility oriented. At my own school there has been a consistent drop in violence between races, with of course the exception of one act– the tragic death of Rita King… It is my belief that violent actions will stop only when all sides learn the facts about each other, put down their swords and begin to work together at the office, in social circles, in politics, community organizations, and in schools! We can no longer ignore other people’s problems for inevitably, they become all our problems. I suggest we learn to live together soon before we go much further. Inter-racial schools are a beginning, but they are a great beginning, for only in schools can we learn sufficiently not only the histories of all our people, but also the future, the promises of all our people. 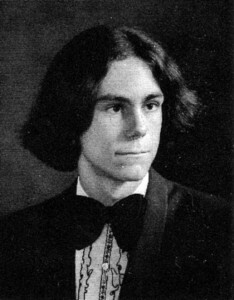 Wolfe Perry is an actor and former basketball player for Stanford. 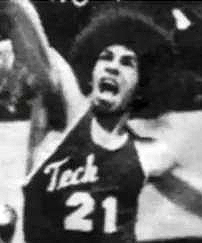 His best-known role came as a basketball player on the 1980s TV show The White Shadow, about a basketball coach and his team. After graduating Tech, Perry attended Stanford where he played basketball and majored in theater arts. 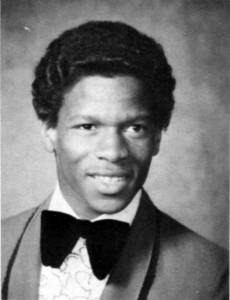 Though he was picked up by the Utah Jazz after graduation, he was cut before the regular season and turned to acting. He played the character “Rutherford” on The White Shadow from 1980-1981 and then acted in shows including Hill Street Blues and Soul Man. He currently lives in Reno and works as a filmmaker. 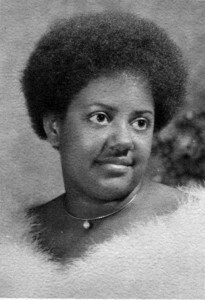 Dana Hughes is from an “old-time Oakland” family and four of her five siblings also attended Tech. Hughes was in student government, principally as Tech’s representative to the All City Council. 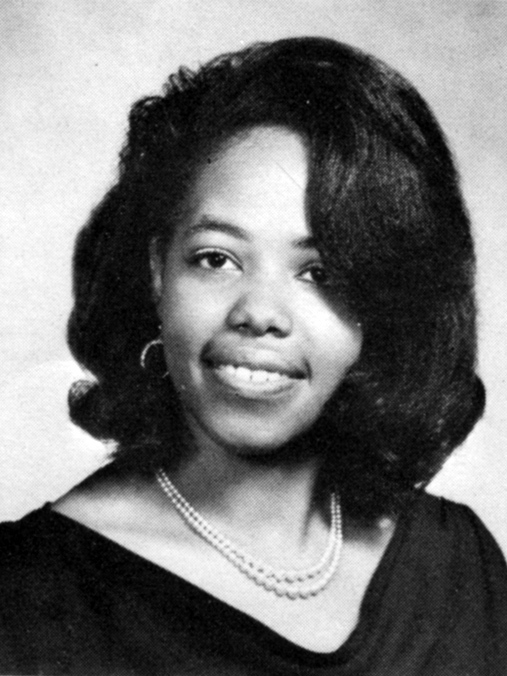 She remembers meeting Superintendent Marcus Foster with other Tech student leaders shortly before he was assassinated by the SLA. My great-grandfather had a bar on Market Street in SF, which was destroyed in the 1906 earthquake. He moved in with a relative in Petaluma and learned chicken farming. He eventually bought a farm in what is now East Oakland by the Coliseum and raised chickens. During the Depression my great-grandfather built homes on his chicken farm and sold them off to survive. We lived in the Rockridge area of Oakland. I went to Tech because it was the local high school. My 4 older siblings went to Tech, and Skyline was too far away. 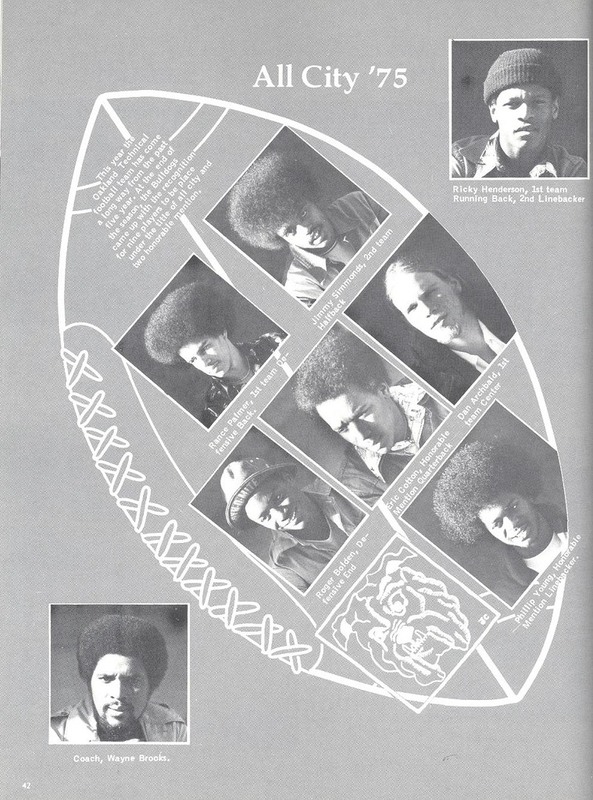 Oakland Tech was a very diversified campus. I met all types of people. I felt fairly naive; that everyone else knew what they were doing. Little did I know that everyone was pretty much in the same boat. Overall, it was a pretty exciting time. There were great people at Tech. OTHS had an “open campus” at the time and many restaurants close by. At breaks, we’d get burgers at Chris & John’s (across Broadway). I had coffee for the first time at Dave’s Coffee shop. Mid-seventies music was the best. At Tech, you’d hear so many different types of music. I still remember Spergeon Hunt singing Stevie Wonder in a history class. I was jumped once coming in from a doctor’s appointment. I was in the very large hallways and someone from off campus started to throw punches at me. I don’t recall being hurt as much as scared. Also, during one break period, drinking coffee across the street at Chris & John’s with Stewart Washington and Michael Bennett, we noticed everyone pouring out of the school. Supposedly, someone fired a gun in the administration / counselor’s offices. Don’t really know what that was about. I was on the soccer team my first year. 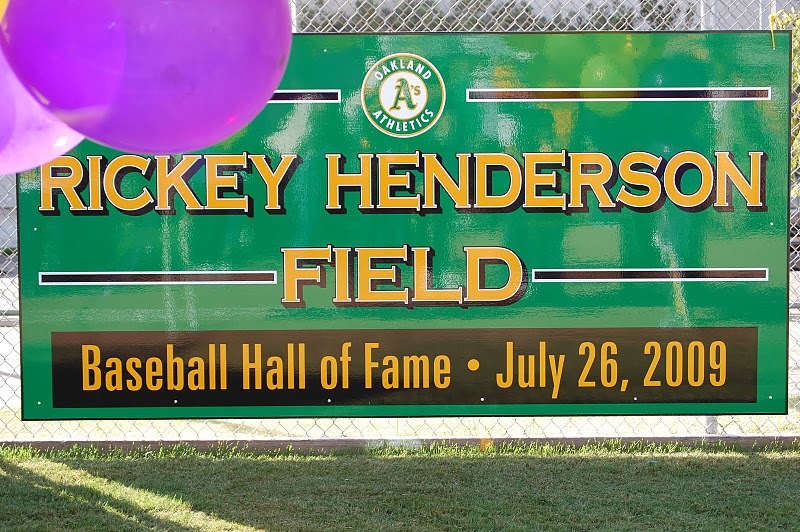 I got to play in all the games and lettered. I was a student representative on a city commission on schools. 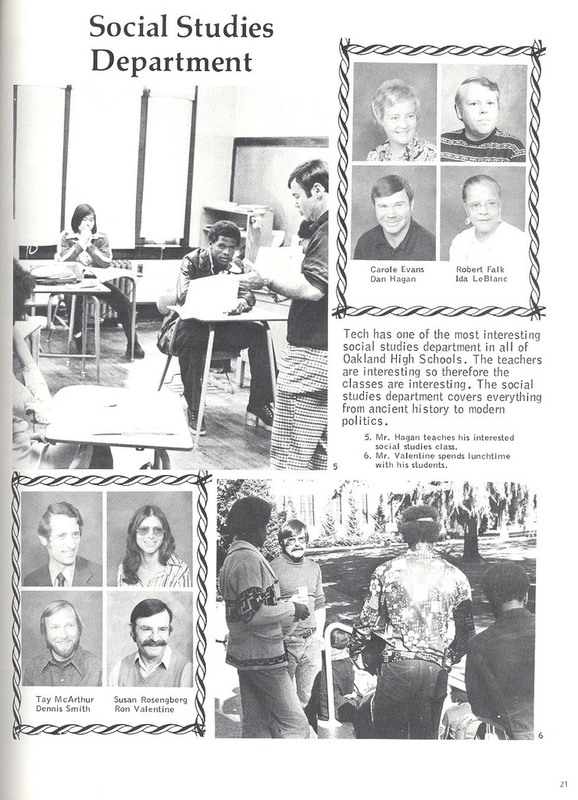 Some of the classes/teachers that stand out include: Mary Smith (Geometry), Coach Sherman (think he’s still there? ), Mr. Preston – Piano, Mr. Eldredge. There are so many more, I will have to look at my yearbook. I went on to Boston University and studied engineering and graduate school at MIT. I am still a practicing engineer in telecommunications. However, OTHS wasn’t really a technical school at the time. I learned to get along with people. If you didn’t get along, listen to others, it was somewhat tough. Unfortunately, I lost contact with several good friends. 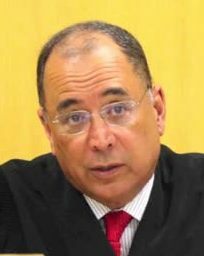 I am still in contact with Stewart Washington, Spergeon Hunt, and many people through my sister. My older brother married my Sophomore Chemistry IWE, Mayumi (Margaret) Matson. I learned to get along with people. If you didn’t get along, listen to others, it was somewhat tough. I am proud to be a Bulldog. I tell many of my children’s friends of my education through OUSD and graduating from Tech in ’75. They look bored with me. 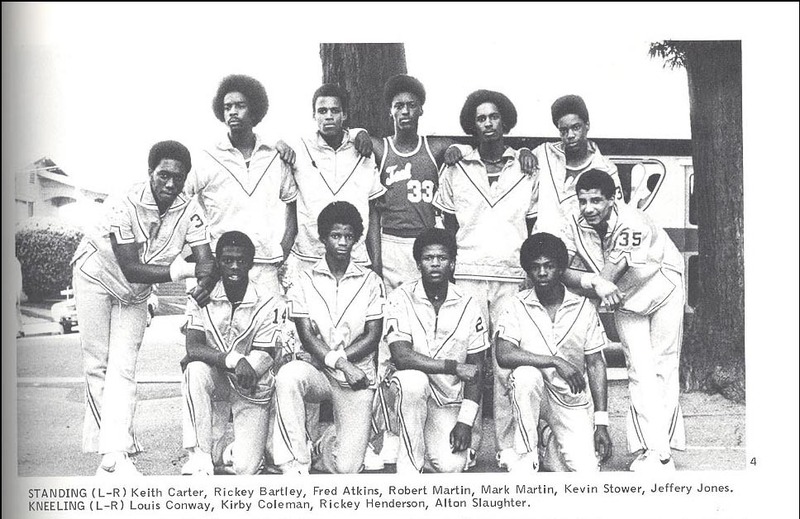 Louis Conway played on the school’s basketball team with Rickey Henderson that won the city championship in 1975 and 1976. 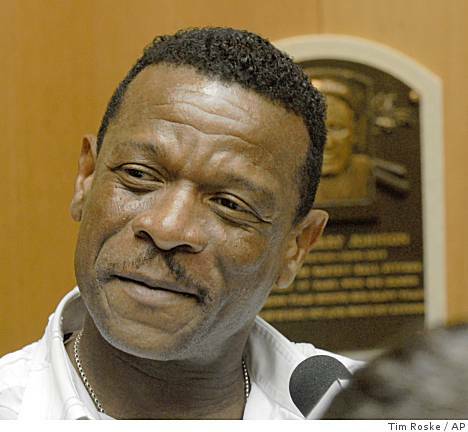 Louis grew up with Rickey Henderson and would play sports with him at Bushrod Park on Shattuck Avenue in Oakland while in elementary school. 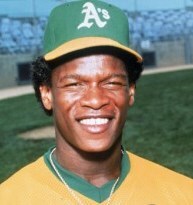 According to Louis, Rickey was an all-around athlete and very popular. 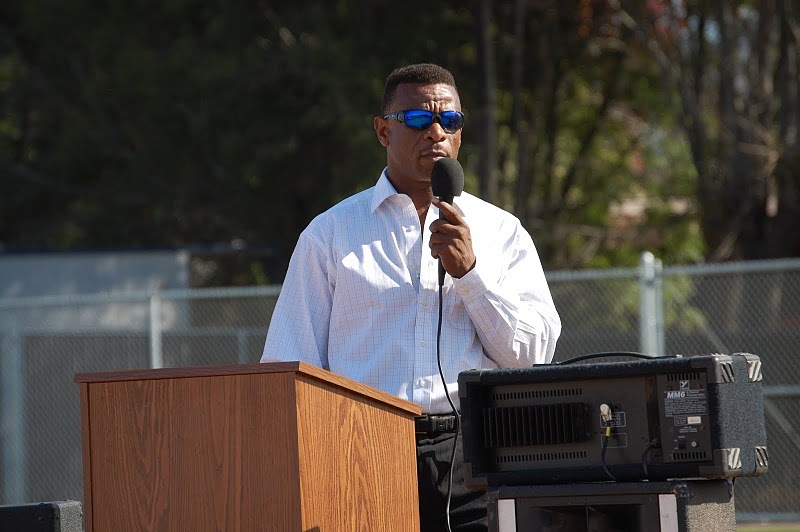 Rickey also played football in addition to baseball and basketball, but the basketball coach discouraged football for his players because he wanted to avoid injury to his team. Louis remembers a few teachers who were caring but strict which helped him keep his focus at school– Ms. Crisby in 10th grade and Mr. Hirsh in 11th and 12th grades who were English teachers and “on my case.” Ms. McDonald taught cooking– Louis made her recipe for icebox cookies for his friends in the neighborhood to great acclaim.